Who doesn’t love having their face painted? 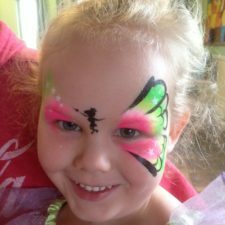 Noodle Parties can help give your event the wow factor by offering face painting, festival glitter and glitter tattoos. 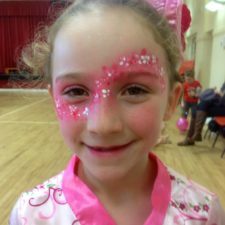 If you have booked one of our Noodle party packages, you can add face painting for an additional cost of £40 an hour (minimum booking 2 hours). Check out our gallery for examples of our work. We are able to paint approximately 10 faces per hour, depending on the designs chosen. 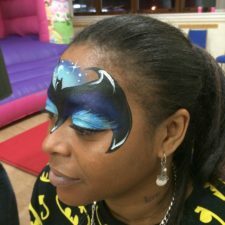 Please bear in mind the number of guests at your party when deciding how long to book your face painter for. 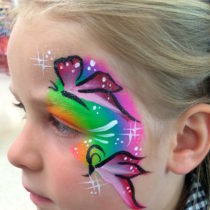 All our face painters are fully insured and DBS checked. Face paint can usually be removed using baby wipes and/or soap and water, although sometimes a little baby shampoo will help!